President RN Kovind on Thursday gave his assent to the ordinance to amend the Insolvency and Bankruptcy Code, 2016. A day earlier, the Cabinet had cleared the ordinance for making amendments in the IBC. The newly included Section 29A of the ordinance makes certain persons, including wilful defaulters and those who have their accounts classified as non-performing assets for one year or more, ineligible to be a resolution applicant. "The Ordinance amends sections 2, 5, 25, 30, 35 and 240 of the Code, and inserts new sections 29A and 235A in the Code," tweeted Finance Minister Arun Jaitley. The President of India has given his assent today to the Ordinance to amend the Insolvency and Bankruptcy Code, 2016. The Ordinance amends sections 2, 5, 25, 30, 35 and 240 of the Code, and inserts new sections 29A and 235A in the Code. Earlier, Business Today had reported that the ordinance may bar those who are un-discharged insolvents, willful defaulters, and whose accounts are classified as NPA by the RBI, or are disqualified to be a director of a company under the Companies Act from participating in the bidding for stressed assets. 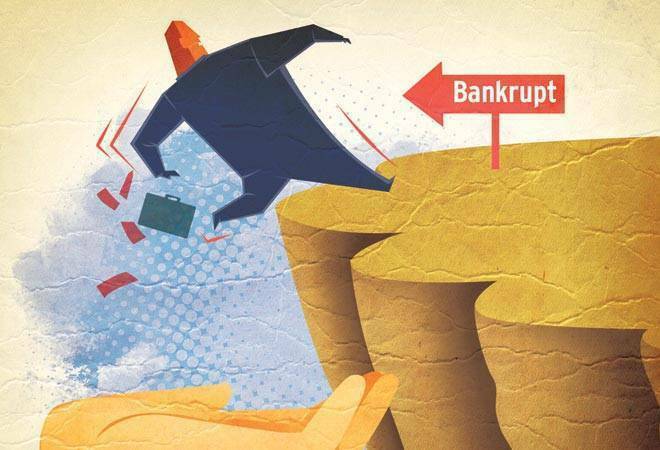 These changes in the law may not have much impact in the current context, considering that among the 12 large bankruptcy cases being heard, none of the promoters groups have been lebelled defaulters. Chairman and MD of JSW Group Sajjan Jindal had on Tuesday tweeted that it will be a set-back to the credible IBC process if the existing promoter re-acquires the asset with a haircut without Right of Recompense to Banks. The Code, which became operational in December last year, provides for a market-determined and time-bound insolvency resolution process. It is implemented by the corporate affairs ministry. Finding ways to trim down over $147 billion bad loans accumulated in the banking sector, the finance ministry had earlier asked the banking institutions ensure those who have history of fraud are not allowed to buy same stressed assets. The amendment may soon be introduced in the upcoming Winter Session of Parliament. Some promoters of the companies identified for insolvency proceedings were preparing to bid for these stressed assets when they would be put up for sale as the existing law does not bar such promoters from participating in the bidding process, the report said. The move also comes at a time when there are concerns in certain quarters about various aspects of the law, including the possibility of promoters wresting back control of a company under the insolvency process. The ministry has already set up a 14-member committee to identify and suggest ways to address issues faced in implementation of the law. The Insolvency Law Committee, chaired by Corporate Affairs Secretary Injeti Srinivas, will take stock of the implementation of the Code. More than 300 cases have been admitted for resolution under the Code by the National Company Law Tribunal (NCLT). A case is taken up for resolution under the Code only after receiving approval of the NCLT for the same. How to get back your lost or blocked investment?